Ishizuka by Russell and George, winner of the Best Restaurant Design category. Photography: Felix Forest. Bentwood Cafe by Ritz and Ghougassian, winner of the Best Cafe Design category. Photography: Tom Blachford. Chandon Australia by Foolscap Studio, winner of the Best Retail Design category. Photography: Tom Blachford. 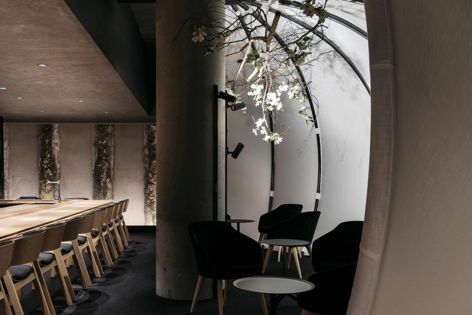 Australasia’s best-designed hospitality venues have been named in the annual Eat Drink Design Awards, which celebrate design excellence within restaurants, bars, cafes, hotels, retail spaces and temporary installations from across Australia and New Zealand. Victoria and South Australia are the regions with the most winning venues this year, cementing their status as hospitality leaders. The winner of Best Bar Design is Adelaide’s Malt and Juniper by Sans-Arc Studio. An homage to the cocktail bar of yesteryear, it features rich wooden elements, high-back leather booths and hard green marble. This year’s Best Restaurant Design winner by Russell and George is an exercise in understated opulence. Ishizuka, located in a Melbourne CBD basement, transports its diners on a culinary journey. Its hard, subterranean features are tempered with soft, muted textiles, creating a subtle, sensual ambience. 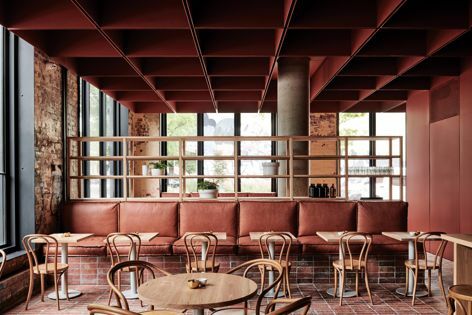 Melbourne practice Ritz and Ghougassian has again taken out the Best Cafe Design category, this time for Bentwood Cafe in Fitzroy. The cafe embraces its heritage roots, balancing the tension between its warm red brick interior with modern clean lines and a consistent colour palette. 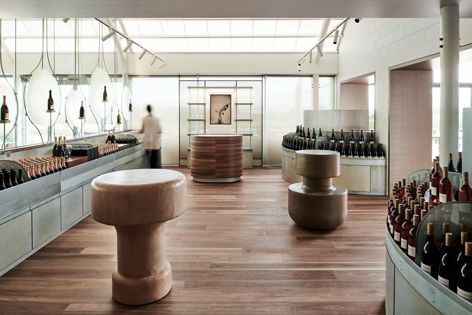 The Best Retail Design winner is Chandon Australia by Foolscap Studio in Coldstream, in the heart of Victoria’s wine country. The jury was impressed by the way the design perfectly personified the “bubbly” wine brand. Winning the new category of Best Hotel Design is Six Degrees Architects’ Brae Restaurant Accommodation in Victoria’s Birregurra, a hotel that aims to create an unforgettable rural experience. A pop-up wine bar in Canberra designed by Daryl Jackson Alastair Swayn Architects, Pop Inn, is the winner of Best Installation Design; Crafty Design is the winner of Best Identity Design for Shobosho in Adelaide; and Melbourne’s iconic, bustling bar and Thai restaurant Cookie, designed by Phillip Schemnitz Architect, is this year’s Hall of Fame inductee.